As consumers, we like to think of ourselves as rounded and balanced individuals; and rational judges. This is very much a part of choosing a product or service. The question is should you go for quality over price? Consider: when you are choosing a holiday, there will be lower cost options; middle of the road; and more premium alternatives. Many would say that they disregard the lower cost bracket, as that is associated with reduced quality and therefore, reduced enjoyment. This is exactly the same when it comes to selecting your landscaping company. 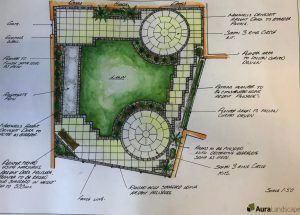 We have highlighted in our previous articles the pitfalls of low quality craftsmanship, which can ultimately result in a poorly designed and poorly constructed garden. This means that your garden is not going to last for years to come (as you would expect when outlaying significant cost). Don’t be caught out. A low price may reflect the quality of the garden, patio or driveway you will end up with; so if it all seems too good to be true, it probably is. Can they send you photographs of recently completed projects? Can you speak to their previous customers for a testimonial and to see their work? How do they get rid of waste? Do they hold waste carrier licences? What type of product is being used – is it a quality product that suits your needs? What sub base are they using and how deep? What product and workmanship guarantees do they offer? Do they install to British Standards? 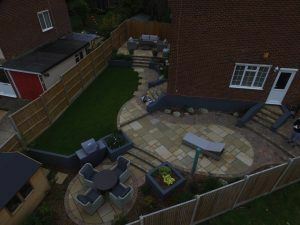 A worthy landscaping company will show passion, and work with you to design an outdoor space with your lifestyle at the heart of it. 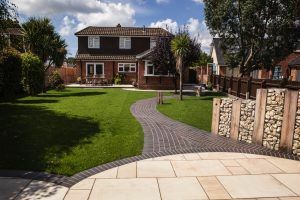 Follow these pointers, and we are confident that you’ll be very happy with the outcome of your landscaped garden and the landscaping company that completed it!